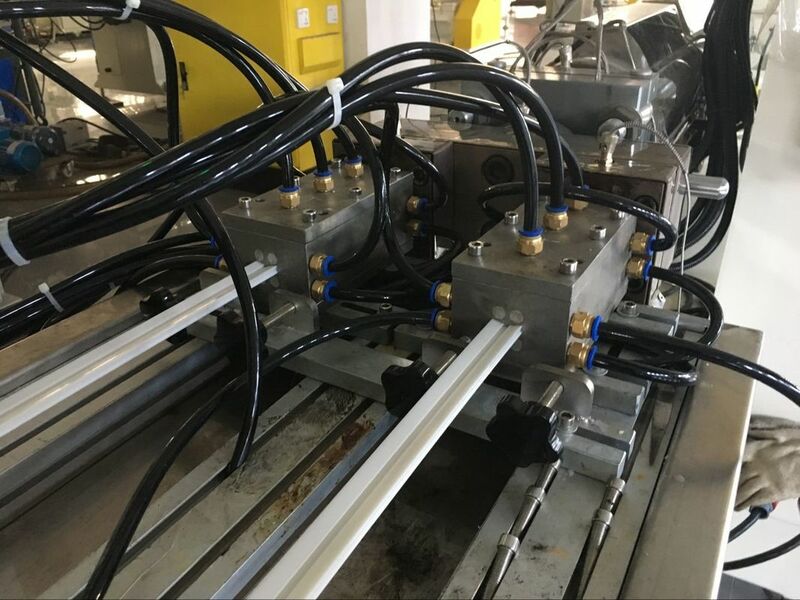 This extrusion line is used for producing PC led light tubes of high speed. The mould is speical designed , with 2 cavities die head, which can produce 2 PC led lighting tubes in the same time. 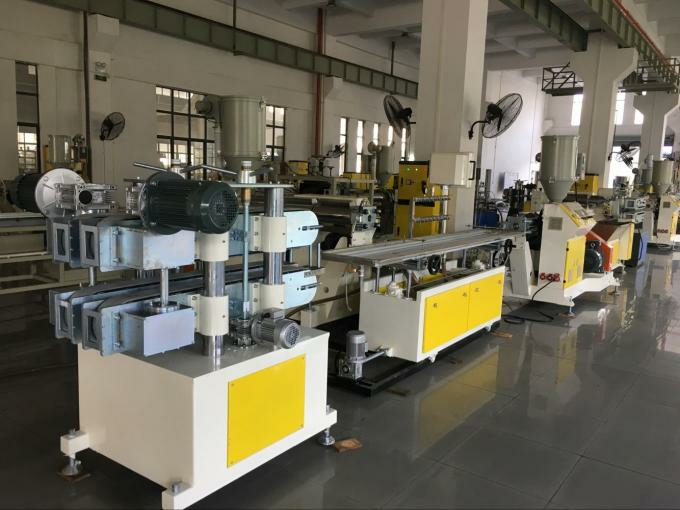 Hence the machine line speed is higher than other factory normal design. The products are widely used in the fields of illumination and decoration. The main raw material is PS and engineering plastic (PC/PMMA) etc. 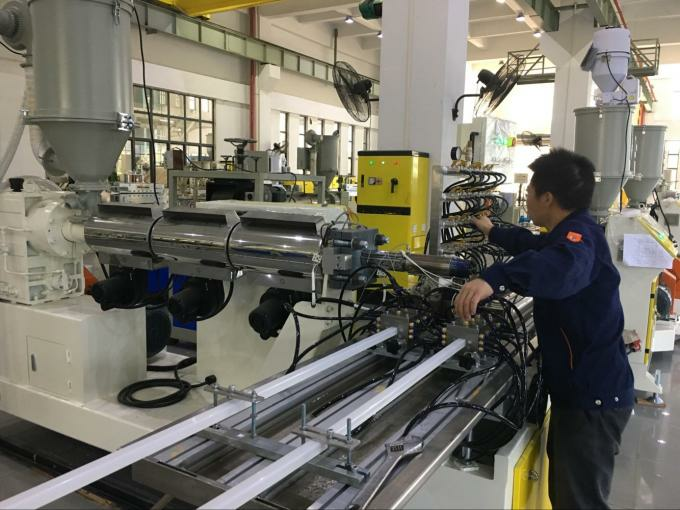 The production line includes high efficiency single screw extruder ,calibration table ,haul off, precise cutter ,the screw and barrel adopts Japan technology is designed for PC/PMMA material .The profile calibrator made from imported steel and by precise processing ensures the precise and stable size of the profile ,the ball screw cutting type ensures the cutting precision +/-1.0m.